As jumped by the Red Bull Skydiving Team! We're happy to announce we are the first UK dealer for Sife, a container manufacturer based in Austria and currently jumped by the Red Bull team. Some of the Sife's more unusual or unique options are outlined below. 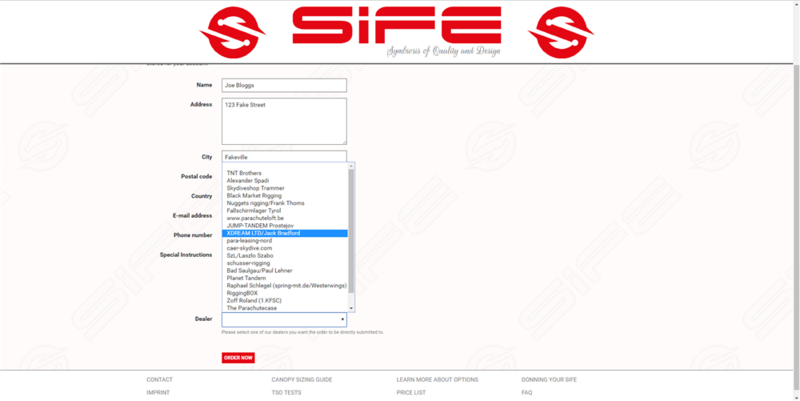 The full option list is available on the Sife website. Alternatively, feel free to come into our shop at Dunkeswell airfield to look at our demo container and ask any questions you might have. The Sife has a number of options, though a prominent one is its hip rings and floating laterals design, which comes as standard. 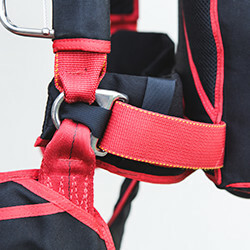 The system, as shown in the photo, stops the container moving around during freefall, making it an especially good choice for freefliers. 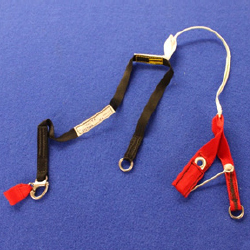 The floating laterals work to give you the comfort and close fit of cut-in laterals, without negatively affecting the power of harness turns as much as cut-in laterals usually do. On our demo container, we have found it fits a number of wearers while still maintaining comfort. 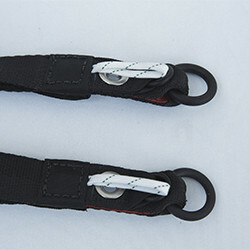 Other options include a semi-stowless d-bag, magnetic riser covers, and black hardware. 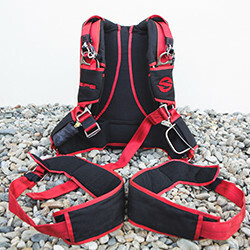 Semi-stowless deployment bags can make for a smoother deployment as there are no bungees releasing to rock the d-bag as the main is released. It can also make packing a bit easier as you only have bungee mouth-locks to do. 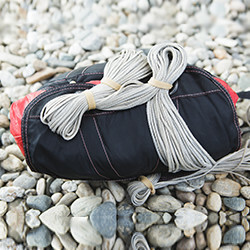 Before using for the first time, don't forget to get advice from an experienced packer or rigger! Magnetic riser covers give more secure protection of risers than tuck tabs and can be longer wearing, as tuck tabs tend to break down over time. Black hardware is an alternative to the stainless steel hardware; it is mostly an aesthetic difference and has little functional difference to stainless steel; but it does look great with the right design! 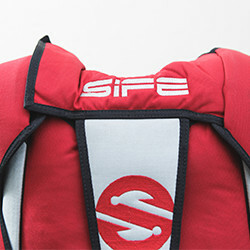 The Sife can be made with dynamic corners, a good option for wingsuiters and canopy pilots. 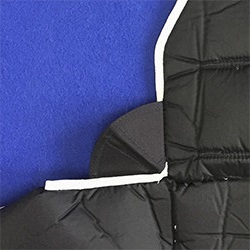 This removes some of the stitching from the corners of the main tray and allows the tray flaps to open up further. The open main tray means there's less to hinder the d-bag as it deploys, giving a cleaner main canopy extraction. This option will require careful packing and it's recommended that you speak to an experienced packer or rigger before packing a container with dynamic corners for the first time, just to check your packing style. Finally, a unique feature to the Sife is its Reserve Activation eXtraction (RAX) system, a main-activated reserve deployment (MARD) system which deploys the reserve faster in the event of a cutaway. Similarly to other MARD systems like the Skyhook, this works by using the main to pull out the reserve free bag as it's cutaway. In the event of a total malfunction, where there is no main out, it disconnects as the reserve pilot chute is released, allowing for a normal reserve deployment. We have a demo RAX system in our shop at Dunkeswell, feel free to come and have a look at it in action! The Sife has been tested using the FAA TSO-C23f tests. It does not have an American TSO certificate but has the equivalent Austrian certification using the same testing process. 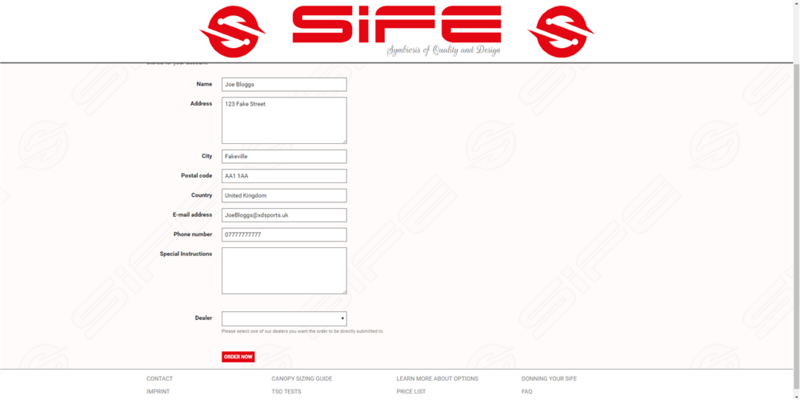 Sife have one of the best designer tools on the market - go here to create your design! After completing your design and selecting your options, you can submit it to XDream Ltd as a dealer using the drop down menus (see below).